YOU ARE AN AMBITOUS BAND WHO WANTS TO INSPIRE THE FANS WITH YOUR BRILLIANT PERFORMANCE AT ROCK OF AGES (JULY 26-28, 2019)? ROCK OF AGES IS SETTING UP THE STAGE FOR YOUR ENERGETIC PERFORMANCE AND ALSO TAKES CARE OF YOUR WELL-BEING. TO SWEETEN THE DEAL, OUR SOULS OF ROCK FOUNDATION WILL SUPPORT YOUR TRAVEL EXPENSES. TOGETHER WITH YOU WE MAKE SURE THAT YOUR PERFORMANCE WILL BE SOMETHING YOU ALWAYS REMEMBER. PLEASE READ OUR REQUIREMENTS CAREFULLY AND IF YOU MEET ALL CRITERIA THEN IT IS DEFINITELY TIME TO SEND US YOUR APPLICATION. ONLY COMPLETE APPLICATIONS AND BANDS THAT MEET ALL CRITERIA ARE TAKEN INTO CONSIDERATION – THANK YOU FOR YOUR COMPREHENSION. THANKS TO THE COLLABORATION BETWEEN SOULS OF ROCK CLOTHING, SOULS OF ROCK FOUNDATION AND HEADBANGERS LIFESTYLE, YOU GET THE FANTASTIC OPPORTUNITY TO PROMOTE YOUR BAND ON THE HEADBANGERS LIFESTYLE WEBSITE. HTTPS://WWW.HEADBANGERSLIFESTYLE.COM/BANDS YOU SIMPLY NEED TO LET US KNOW IF YOU ARE INTERESTED. HEADBANGERS LIFESTYLE WILL THEN GET IN TOUCH WITH YOU DIRECTLY. ALL INFORMATION GIVEN ARE TRUE AND ANY CHANGES WILL IMMEDIATELY COMMUNICATED TO THE SOULS OF ROCK FOUNDATION. IN CASE OF AN APPROVED SHOW AT ROCK OF AGES FESTIVAL, WE COMMIT TO POINT OUT THE SUPPORT OF THE SOULS OF ROCK FOUNDATION. 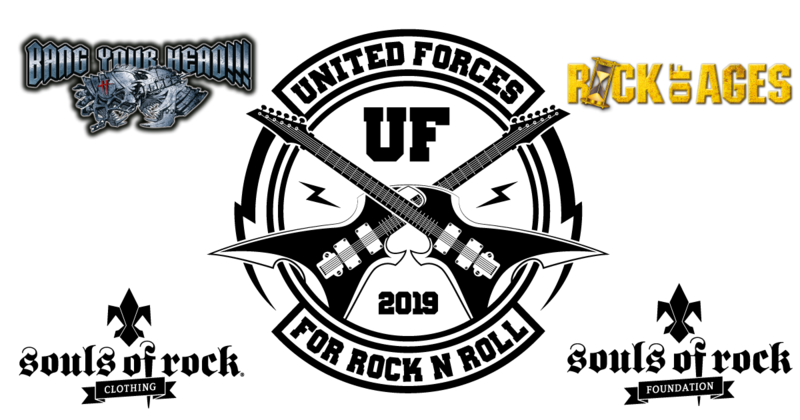 WE WILL USE THE LOGOS THAT HAVE BEEN PUT AT OUR DISPOSAL FOR PRINT MATERIAL, OUR BAND WEBSITE AND SOCIAL MEDIA CHANNELS (LINKED TO THE SOULS OF ROCK FOUNDATION AND ROCK OF AGES FESTIVAL WEBSITES). AT THE SAME TIME, WE WILL SEND YOU PHOTOS ABOUT THE GIG THAT CAN BE PUBLISHED ON THE WEBSITE AND SOCIAL MEDIA CHANNELS OF SOULS OF ROCK FOUNDATION AND ROCK OF AGES FESTIVAL. AFTER COMPLETION OF THE GIG, WE WILL RECORD A SHORT „THANK YOU“ VIDEO – MOBILE PHONE QUALITY IS FINE – IN WHICH WE THANK THE SOULS OF ROCK FOUNDATION AND ROCK OF AGES FESTIVAL FOR THE SUPPORT. WE AGREE TO THE DISCLAIMER.